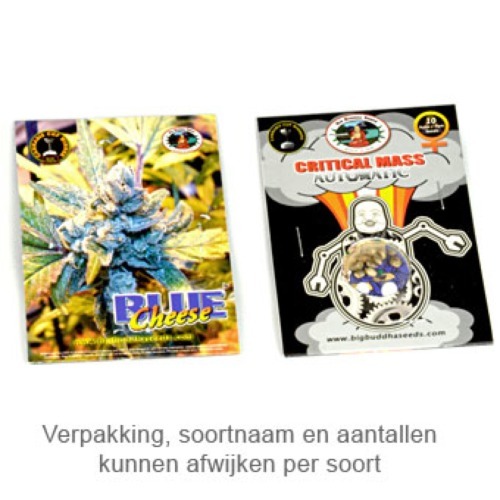 Critical Mass Automatic from Big Buddha Seeds is a very potent and strong weed plant. This weed strain is mainly Indica and these feminised autoflowering seeds are from very good and stable quality. This nice weed strain is originated by crossing the Critical Mass x Big Buddha Seeds Automatic. Big Buddha Seeds Critical Mass Automatic is a strain that contains mainly Indica genetics and grows quite fast. The weed plants from these feminised weed seeds produce a large plant with a reasonable high yield. This strain is very easy to grow and is therefore suitable for growers that are just started. This plant is also appropriate for an indoor grow and outdoor grow. Tell us and our customers what you think of the Critical Mass Automatic from Big Buddha Seeds.